Historically, Brazilian antitrust practice relied heavily on public enforcement. As a consequence, private antitrust litigation activity is still incipient in Brazil, although in recent years some turning points have contributed to enhance local practice in private antitrust enforcement. 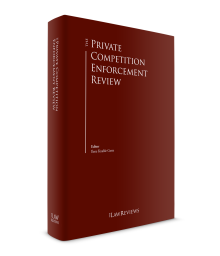 These turning points, an outline of judicial precedents and the local legislative framework served as an introduction for the current status of Brazilian private competition enforcement. However, the first known private antitrust action for recovery of losses caused by cartel behaviour was only filed in 2006, before the Minas Gerais State Court of Justice. It was related to the Long Steel cartel case, under which the Cobraco Group sued ArcelorMittal and obtained a preliminary injunction compelling the latter to adopt the same price (adjusted by inflation) effective before the cartel period (the independent Long Steel Distributors case).4 The courts also ruled favourably on redress of losses from the cartel's overpricing policy. This lawsuit followed a decision handed down by CADE, the Brazilian antitrust agency, in 2005, which fined the long steel manufacturers for price-fixing, customer allocation and resale price maintenance. In 2010, CADE innovated by recommending that a copy of a cartel decision (in the Industrial Gases cartel case) be sent to potentially injured parties with the purpose of enabling and encouraging them to seek recovery for damage caused by the anticompetitive conduct. Therefore, from 2010 CADE has started to encourage victims to file follow-on claims in Brazil for damage caused by cartels. The resulting increase in terms of the economic cost of business misbehaviour has contributed to the deterrent effect of competition law enforcement. It was in 2016, however, that the fiercest discussions about private antitrust litigation activity and its balance with local public enforcement occurred, when a landmark decision from Brazil's Superior Court of Justice (STJ) ordered CADE to disclose confidential documents originating from a leniency agreement (2016 STJ decision). The 2016 STJ decision relied on the following assumptions: the documents in point could support claims for compensation; the legal framework for leniency programmes only provided for administrative and criminal immunity (and not civil immunity); and there is a mandatory rule of publicity for acts of the Brazilian public administration. Therefore, the STJ's rationale was that keeping the documents obtained under a leniency programme confidential and extending such status to the civil sphere, even after the end of CADE investigations, would perpetuate the harm to third parties and, by extension, give leniency applicants a benefit that is not backed by law. In response, and again in 2016, CADE issued a draft resolution (CADE 2016 draft resolution) stating that it will pursue a balance between public and private enforcement by respecting third-party rights of access to documents originating from leniency agreements, settlement agreements and dawn raids. In addition, the CADE 2016 draft resolution suggested certain changes to Article 47 of the Competition Act concerning the civil aspects of private antitrust actions. In addition, following appeals filed by CADE in connection with the 2016 STJ decision, in 2018 the court clarified that, as a general rule, documents obtained under a leniency agreement could be made available, while respecting business secrets and relevant information for competitive purposes, but only after a final ruling by CADE. Finally, the CADE 2016 draft resolution was finally issued as CADE resolution 21/2018, which regulates the procedures for accessing documents and information through administrative proceedings commenced by CADE to investigate anticompetitive practices, including those arising from leniency agreements, settlement procedures and search and seizure lawsuits; and promotes private antitrust ligation. Article 47 of the Competition Act generically establishes that those injured by an anticompetitive conduct may go to court to defend their individual or collective interests, to seek an injunction to cease the anticompetitive practice and to recover damages. Private lawsuits can be brought regardless of the existence of an administrative decision on an anticompetitive practice, and even before an administrative proceeding itself is instated. In addition, the existence of a private claim does not stay the administrative proceeding, which develops independently. Both individuals and corporations can be sued, either individually or collectively. Private antitrust lawsuits can also take the form of individual enforcement actions or collective actions. Coupled with the provisions in the Competition Act, the Brazilian Civil Code and the Brazilian Civil Procedure Code (CPC) also set out general rules governing private lawsuits. Moreover, collective actions are further governed by a specific legal system that brings together several laws and regulations, such as the Brazilian Consumer Protection Code and the Public Class Actions Law. As established in Article 2, the Competition Act applies (without conflicting with the conventions and treaties to which Brazil is a signatory) to any anticompetitive conduct that is fully or partially performed in Brazil, or that produces or may produce effects locally. Therefore, foreign entities responsible for anticompetitive conduct abroad, if somehow causing effects within the Brazilian territory, could in principle be sued locally, either by CADE or through a national judicial authority. In addition, CADE resolution 21/2018, which came into effect in 2018, also contains a provision strengthening the extraterritorial effects of the Competition Act on private antitrust litigation by stating that confidential documents may be exceptionally disclosed, among other hypotheses, when there is international judicial cooperation, as long as the disclosure is authorised by CADE and the leniency or settlement agreement applicant. Private antitrust litigation can take the form of individual enforcement actions or collective actions. an association established for at least one year to engage, among other institutional purposes, in the protection of consumer rights, the economic system or free competition. Moreover, private enforcement claims can be taken to state or federal courts in connection with private suits for damages filed by individuals or companies (or by legitimised institutions for public class actions) aggrieved by anticompetitive practices. Notwithstanding this extensive list of eligible persons, a possible deterrent to private competition lawsuits following CADE's conviction of antitrust conduct (follow-on litigation) is the cost (both financial and other costs) of litigating in Brazil. For instance, defeated parties must pay court costs and expenses, plus statutory attorneys' fees, totalling as much as 10 to 20 per cent of the value of the claimed damages (except in public class actions). In addition, from filing a claim until a final decision is rendered, a lawsuit may take 10 to 15 years on average, during which time legal costs will accrue to both litigants. Senate Bill No. 283 of 2016, which was recently approved by the Senate and which will be sent for approval to the House of Representatives, aims to bring more celerity to claims by allowing CADE decisions to ground the concession of evidence-supported relief. The Brazilian legal system envisages a wide array of elements to prove allegations in court, and the CPC provides a non-binding list of means of proof by expressly stating that 'all legal means, as well as morally legitimate ones, even if not specified in this Code, may apply to prove a fact' (CPC Article 369). specific evidence be put forward by a litigant. Regarding (a), for instance, if a party refuses to show a document, a presumption against it on the question of fact can be raised. In addition, in some private enforcement claims, the burden of proof (which usually lies with the accuser) may be shifted. This usually occurs when the concept of a reverse burden of proof is applied to consumers, and especially if these are legally, economically or technically vulnerable. As another example, the specificities of a case could render it impossible or excessively difficult for a given party to produce evidence (or, otherwise, it could be easier to prove a contrary fact). Regarding (b), CADE is also subject to this provision, but has expressly raised concerns that private enforcement litigation demanding access to such type of evidence may pose risks for the future of successful leniency programmes. CADE resolution 21/2018 provides for the specific situations in which documents produced through investigations conducted by the authorities may be disclosed to third parties interested in seeking their rights through private antitrust claims. Regarding (c), it is worth noting that the production of evidence can entail significant costs for the parties, either individually or jointly. Parties can request (and the judge can order on his or her own initiative) a wide range of means of proof, including the use of experts. The CPC devotes an entire chapter specifically to regulate the procedure and the possibility of using experts. There is a high chance of expert opinions being required as evidence in a private antitrust litigation due to the intrinsic economic nature of the matters at issue and in response to the need for a full understanding of the market concerned. Expert witnesses would also be instrumental in defining whether an antitrust infringement has occurred, and in ascertaining the harm and ensuing compensation. Finally, economic evidence originally produced under a CADE administrative proceeding can also serve as proof in a lawsuit. 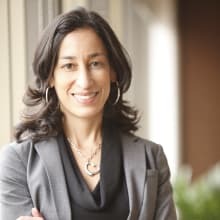 According to research carried out by Giovana Vieira Porto8 and based on data collected by the Brazilian Institute for Competition, Consumer Affairs and International Trade Studies (IBRAC), class actions outnumber individual enforcement actions in private antitrust litigation. Calculating the damages payable to a plaintiff is one of the most challenging aspects of private competition litigation. A decision on the occurrence of damage serves as grounds for ultimately calculating the compensation payable. Consequently, ascertaining damage is one of the cornerstones in a private competition claim. One of the main findings of the research conducted by Giovana Vieira Porto9 is that the criteria adopted by trial and appellate courts in calculating damages currently lack uniformity. the values stated in an expert report during the discovery phase. the reasonableness and proportionality of the compensation in relation to the damage caused. In view of the above, and with the aim of providing more certainty in estimating cartel damages, in 2018 the Seprac issued guidelines that provide an economic analysis of the law, the value of the compensation and deterrence, as well as a general overview related to quantifying damage. The authorities clearly recognise that compensation for harm imposed on society does not refund the victims of a cartel, and that an effective antitrust enforcement framework must involve a complementary mechanism that entitles victims to demand compensation for damage. For this to be feasible, however, it is important to overcome one of the main obstacles for private antitrust actions: credibly proving and quantifying damage. In this context, the guidelines detail concepts related to cartel practices, including methods of detection and, most importantly, possible methods for quantification of overcharges and the passing-on of overcharges, which includes, on a non-exhaustive basis, comparison-based methods and market or firm structure-based methods. Article 25 of the Consumer Protection Code could reasonably suggest that pass-on defences are not allowed in consumer-related claims. In brief, the Consumer Protection Code states that a clause precluding, exonerating or otherwise alleviating the obligation to indemnify for product and service defects is void, and further imposes joint and several liability on the manufacturer, builder, importer or assembler. In Brazil, it still under discussion whether a pass-on defence assertion would be accepted before a Brazilian court as an argument to exclude the obligation to indemnify. In addition, the Seprac guidelines explicitly consider the passing-on of overcharges, recognising the higher challenge of quantifying damages in this situation. According to this approach, the passing-on of overcharges must be deduced from the compensation that must be paid to intermediate consumers, and the final consumer is entitled to compensation. In the first follow-on litigation involving a global cartel case, direct purchasers of compressors for refrigeration filed a lawsuit that was ultimately ruled on by the STJ in 2016 (as already stated, the decision compelling CADE to disclose documents obtained under a leniency agreement, which was further clarified in 2018 through establishing that disclosure should occur after a final ruling by CADE's Tribunal). Notwithstanding, as the parties to a lawsuit can challenge every piece of evidence, even when it has been produced by CADE within an administrative proceeding, this can also be a significant obstacle to the development of private enforcement in Brazil, as it in practice means having to re-litigate the existence of a cartel. This is the case because CADE's decisions are not binding before the courts and, therefore, it could be a good strategy for defendants to (at least) delay a final decision. Attorney–client privilege and other related aspects arising from the attorney–client relationship are regulated by the Brazilian Bar Association Statute10 and its regulations. The Brazilian Bar Association Statute and its regulations apply to all Brazilian lawyers. As a rule, attorneys are assured of their right to protect and have a duty of not disclosing information received within the context of an attorney–client relationship. This privilege covers every piece of oral or written information in physical or electronic format, which renders it inviolable. It also extends to an attorney's office, files, data, mail, email and other communications. In this respect, there is a controversy concerning whether the attorney–client privilege is applicable to both external attorneys and in-house counsel, or only to external attorneys. Although the prevailing opinion of jurists has been that there is no limitation to the privilege based on this, some public authorities may have a contrary opinion in practice. It has been argued that some in-house counsel now have a role in a company's business that is more similar to a manager or officer's role, rather than being an attorney stricto sensu. Consequently, in some situations involving information in the possession of an in-house counsel, there is a possibility of the attorney–client privilege being relativised, and thus the information disclosed. Settlement procedures are usually promoted by private and public attorneys, and are officially encouraged by the judiciary. The CPC establishes that mediators and conciliators are aides in the administration of justice. Therefore, before or during the course of private antitrust claims, the use of alternative dispute resolution mechanisms should be facilitated. However, parties are not under an obligation to engage in an alternative dispute resolution process before trial, and may expressly inform the judge that it is not in their interest to engage in mediation or conciliation (without any implications for the court dispute or their otherwise suffering any personal retaliation for that decision). Parties may resort to arbitration only in disputes involving disposable economic rights; see below. Article 47 of the Competition Act clearly reads that the parties can take antitrust claims to court, but it remains controversial whether they can dispute antitrust matters through arbitration. Under Law No. 9,307 of 1996, a discussion can be settled through arbitration as long as it revolves around disposable economic rights, which means that the relationship has to be financially based. Since an antitrust discussion involves both economic and constitutional rights, it is hard to ascertain whether antitrust claims are arbitrable in Brazil. One of the advantages of arbitration is that the parties may have their dispute settled confidentially by a trustworthy arbitrator (instead of a judge). In addition, it is probable that an arbitral decision will be more precise and faster than a court ruling. Arbitration has been debated in the context of Senate Bill No. 283 of 2016, and whether its adoption could for instance allow for a reduction in potential damages to be paid by defendants who accept the mechanism in favour of procedure celerity. As the Competition Act expressly allows parties to look to the judiciary for redress of any injury from anticompetitive practices, such claims also qualify for alternative dispute mechanisms, such as arbitration or negotiation. However, parties do not often resort to these mechanisms in Brazil on account of the existing obstacles to indemnification, as further explained below. there are procedural difficulties in proving the conduct, a causal relation and its ensuing damage, which might also discourage plaintiffs from seeking redress in court. CADE is keen to encourage lawsuits as a powerful mechanism to fight cartel schemes. Leniency agreements do not reach the civil sphere, focusing instead on the criminal and administrative spheres. As a result, companies signing such agreements are not protected against civil lawsuits, which may encourage individuals to pursue indemnification claims against companies that engage in anticompetitive conduct (serving, by extension, as a deterrent to anticompetitive practices). the publication of CADE resolution 21/2018, which aims at regulating access to documents obtained by the authorities and to foster private antitrust litigation. In another attempt to promote private competition enforcement, Senate Bill No. 283 of 2016, which is about to be approved, proposes, among other things, that CADE final rulings should be given due consideration by the courts to ensure more expeditious decisions in private antitrust litigations. In keeping with the principle of the separation of powers, however, CADE decisions would not be binding on the courts. The bill of law provides for a set of very important mechanisms, which should foster private antitrust litigation, and it should be a landmark that will complete the Brazilian legal framework for combating cartels. Clearly, Brazil and CADE are tending towards aligning with other, more mature jurisdictions as regards private competition enforcement. 1 Cristianne Saccab Zarzur is a partner and Marcos Pajolla Garrido and Carolina Destailleur G B Bueno are associates at Pinheiro Neto Advogados. 2 Former Competition Act, Law No. 8,884 of 1994. 3 Competition Act, Law No. 12,529 of 2011. 4 Noman, Gustavo Lage. 'Das provas em processo concorrencial'. 2010. Available at www.dominiopublico.gov.br/download/teste/arqs/cp136669.pdf. Accessed December 2018. 5 An English version of the Seprac guidelines may be accessed at http://www.fazenda.gov.br/centrais-de-conteudos/publicacoes/guias-e-manuais/estimating-cartel-damages. Last accessed on 7 December 2018. 6 The Law disciplines public class actions for, inter alia, damage caused to the environment, consumers or historical patrimony. 7 Peixoto, Bruno Lana and Da Silva, Ludmilla Martins. 'Recovery actions for cartel damages: state of affairs and challenges for the next five years'. Brazilian Antitrust Law (Law N.º 12,529/11): 5 years. April 2017. 8 Porto, Giovana Vieira. 'As ações ajuizadas com pedido de indenização por dano de cartel: uma análise empírica do estado da arte no Brasil'. 2017. 10 Brazilian Bar Association Statute, Law No. 8,906 of 1994. 11 Dantas, Yane Pitangueira. 'A Arbitragem como Meio Alternativo na Resolução de Demandas Indenizatórias Decorrentes da Prática de Cartéis e a Minuta de Resolução do CADE submetida à Consulta Pública 05/2016'. Revista de Direito da Concorrência, Vol. 5, No. 1, May 2017, page 241. 12 As provided above, there is a controversy on whether alternative dispute resolutions such as arbitration apply to cases of private competitive enforcement. 13 Schmidt, Cristiane Alkmin Junqueira. 'CADE. Análise econômica em cálculo de danos de Cartéis'. May 2016. 14 Athias, Daniel Tobias. JOTA. 'Cartel, acordos de leniência e responsabilidade civil por danos privados'. 27 April 2016. Available at https://jota.info/artigos/cartel-acordos-de-leniencia-e-responsabilidade-civil-por-danos-privados-27042016#_ftn2. Accessed December 2017. Foreign investment continues to garner a great deal of attention. This trend is expected to continue as the global economy further integrates, the number of cross-border and international transactions keeps increasing, and national governments continue to regulate foreign investment in their jurisdictions to an unprecedented degree. This sixth edition of The Foreign Investment Regulation Review provides a comprehensive guide to laws, regulations, policies and practices governing foreign investment in key international jurisdictions.